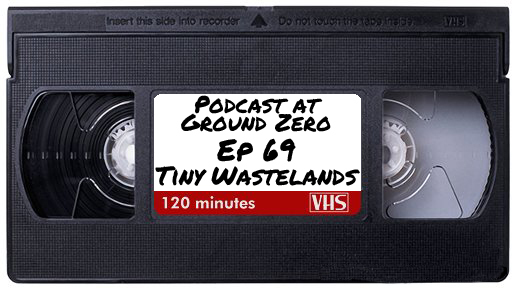 For the 69th episode of Podcast at Ground Zero the topic will be Tiny Wastelands: Minimalist Post-Apocalyptic Roleplaying. This week we will be speaking to Alan Bahr from Gallant Knight Games about their post-apocalyptic RPG Tiny Wastelands that is currently on Kickstarter. Tiny Wastelands is post-apocalyptic roleplaying game that uses the minimalist TinyD6 system. Using the rules in this book, you’ll be able to play survivors of lost and destroyed civilizations, mutants rampaging the wastelands and so, so much more. So join Scott, Alan and I on our trek thru the Cursed Earth we think you’ll enjoy the company. You will be able to watch the podcast live right here on the blog, YouTube or our other social media sites.